We would like to welcome our new advocate for Airlie Boat Hire, Johnny Gaskell! Johnny studied Marine Biology in Victoria and went on to work as a Marine Educator and Aquarist at Melbourne Aquarium. After that he moved to Ningaloo Reef, Western Australia and worked as a Dive Master. 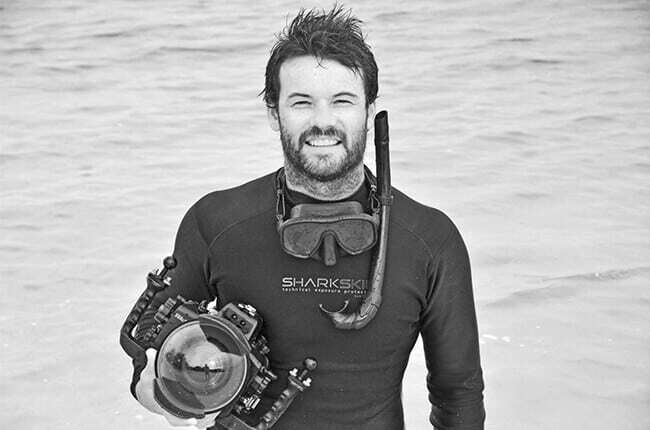 Johnny is currently working as the Living Reef Manager on Daydream Island; while assisting as a researcher with Sharks and Rays Australia. Johnny’s daily routine involves actively looking after the inhabitants of the Living Reef and exploring the reefs of the Whitsundays and Great Barrier Reef. For the last four years Johnny has supported our local family run business, Airlie Boat Hire, right here in Airlie Beach. He is passionate about all marine life, coral and The Great Barrier Reef. He is also a very talented photographer, taking the most spectacular footage and photos of all of his experiences underwater. We feel extremely honoured to have Johnny Gaskell come on board with us as our advocate for Airlie Boat Hire. Keep watching our website, Facebook and Instagram to see what Johnny has in store for us, showcasing our beautiful Whitsundays and Great Barrier Reef.